Cody Willoughby | Miami Valley Sunday News Keira Hutchings, 6, of Englewood plays Easter hopscotch on Friday during the Downtown Easter Egg Hunt in Tipp City. Cody Willoughby | Miami Valley Sunday News Scratch Bakery employee Beth Livingston gives an Easter egg to Norah Knight, 8, of Troy during the Downtown Easter Egg Hunt on Friday in Tipp City. Cody Willoughby | Miami Valley Sunday News Siara and Sadhil Mehta, 2 and 11, of Tipp City meet the Easter Bunny during the Downtown Easter Egg Hunt on Friday in Tipp City. TIPP CITY — As the northern Miami Valley welcomed warm spring weather on Friday, Downtown Tipp City welcomed in the Easter season with its latest “First Friday” event, the Downtown Easter Egg Hunt. Library volunteers provided each participating family with a scavenger hunt card. Cards contained a listing of each participating business, where volunteers awaited to hand out eggs and prizes to kids. Each business was also designated a special letter, which participants could complete and submit for a chance to win a special grand prize basket. Participating businesses included, alphabetically, Birch, Browse Awhile Books, Connections of Tipp City, Fox and Feather Trading Co., Grounds for Pleasure Coffeehouse, KSD Insurance, Mantia’s Italia, The Masonic Lodge, Sam and Ethel’s Restaurant, Scratch Bakery, Sharon Elaine Photography, That Place on Main, Tipp City Public Library, Tipp City United Methodist Church, Tippecanoe Gazette, Tipp Weaver and Fivers Too, and Topsy Turvy Toys. The event was sponsored by Steven Pierson, DDS. Downtown Tipp City Partnership is a non-profit organization dedicated to preserving and promoting Tipp City and its historic downtown shopping district. For more information, visit www.downtowntippcity.org, or find Downtown Tipp City on Facebook. 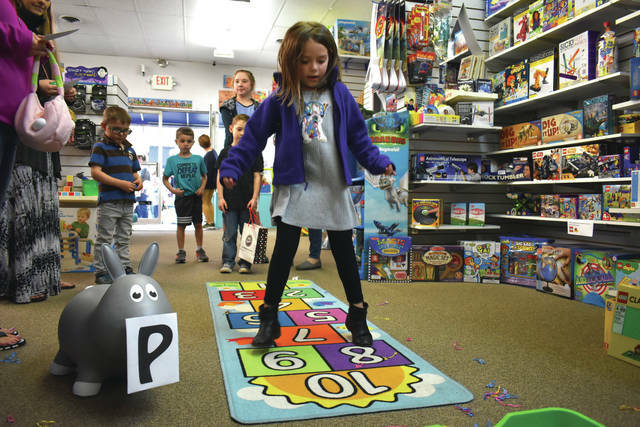 https://www.tdn-net.com/wp-content/uploads/sites/21/2019/04/web1_TippEggHunt2.jpgCody Willoughby | Miami Valley Sunday News Keira Hutchings, 6, of Englewood plays Easter hopscotch on Friday during the Downtown Easter Egg Hunt in Tipp City. 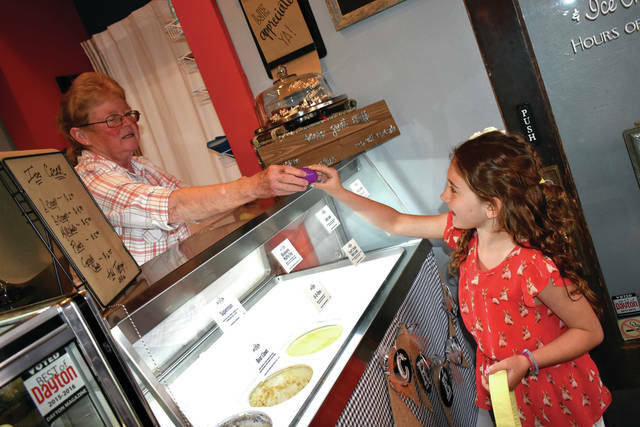 https://www.tdn-net.com/wp-content/uploads/sites/21/2019/04/web1_TippEggHunt3.jpgCody Willoughby | Miami Valley Sunday News Scratch Bakery employee Beth Livingston gives an Easter egg to Norah Knight, 8, of Troy during the Downtown Easter Egg Hunt on Friday in Tipp City. 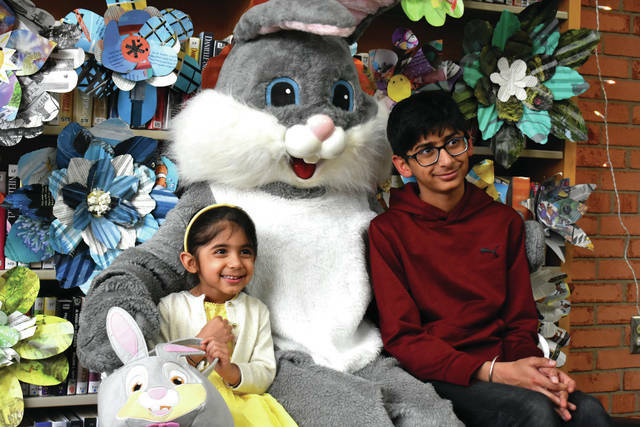 https://www.tdn-net.com/wp-content/uploads/sites/21/2019/04/web1_TippEggHunt1.jpgCody Willoughby | Miami Valley Sunday News Siara and Sadhil Mehta, 2 and 11, of Tipp City meet the Easter Bunny during the Downtown Easter Egg Hunt on Friday in Tipp City.